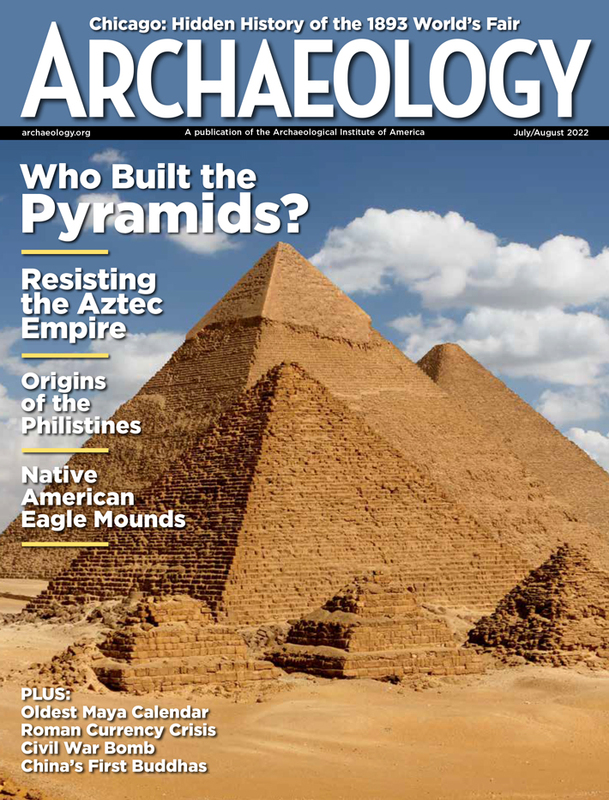 Recently, Berkeley's David Stronach spoke with ARCHAEOLOGY about his career, past and future, and some of the people he has known along the way. Stronach graduated from Cambridge in 1957, and was made director of the newly founded British Institute of Persian Studies in Tehran in 1961, holding that post for some 20 years. During that time, he excavated at Pasargadae (1961-1963) and Nush-i Jan (1967-1968). After the 1979 Iranian revolution, he worked at Nineveh (1987-1990) in Iraq and later in Armenia, Daghestan, and Turkey. Since 1981, he has been professor of Near Eastern Archaeology at the University of California, Berkeley. Over the course of his career, he has known some of the greatest names in archaeology, such as Sir Mortimer Wheeler and Sir Max Mallowan, as well as the latter's famous wife, Agatha Christie. That goes back a very long way. During the Second World War, I was evacuated with my sister, and our mother came with us from Britain to Canada and we stayed in Toronto. The Royal Ontario Museum had just begun a special program for what they called junior members and my mother signed me up at age of nine and I believe I came back you know at the end of the first session and said, I could barely pronounce the word, "I'm going to be an archaeologist." And it stuck. Of course while I was in North America, I was in the States as well, I thought always that I would specialize in the Incas. But then, going back to Britain, which of course we did, Leonard Woolley's work at Ur naturally held great fascination for me and I realized the Near East was where I wanted to make any contribution that I could. When you think about the possible areas in the world in which to work, you're working with the remains of the Medes, the Persians, the Assyrians--that's a huge responsibility and a huge privilege. I think I was extremely privileged by the accident of the moment that I entered the profession. When I was a young man at Cambridge there were very few people going into archaeology and at the same time it was an expanding field and of course in the British system they had all these schools abroad where you could go on fellowships and scholarships after you had received your even your first degree to the Near East and I was fortunate in being able to go even before I finished my degree at Cambridge on the excavations of David Talbot Rice at Istanbul where we were working on the palace of the Byzantine emperors, so I began life in a rather later period of Near Eastern archaeology than might have otherwise been the case, but I fell in love with Turkey at that point and applied for the scholarship of the British Institute of Archaeology at Ankara in the following year and received it and of course from then on I was totally captivated by Near Eastern archaeology. As I say, it was quite a small group of people who were involved, and I had the great good fortune to work with Professor Seton Lloyd who was an architect and archaeologist, one of the great specialists in mud-brick excavation, which stood me in good stead later at Tepe Nush-i Jan and other places. At Beycesultan, and then I also worked with James Mellaart at Hacilar, and I went on surveys in southwestern Anatolia with Jimmie, walking endless kilometers in the hot sun picking up sherds. It was all a wonderful way to begin and I was very fortunate. And these were the people who were your early inspirations and colleagues? They were, and Max Mallowan comes into the picture because after I'd been working in Turkey for a year or two I was encouraged to apply for the fellowship of the British School of Archaeology in Iraq and in fact in 1957 I held fellowships in both the school in Ankara and the school in Iraq and worked in both places and once I reached Iraq, I began to think a little bit more about Iran, because my original teacher at Cambridge, Margaret Munn Rankin, translated Roman Ghirshman's book on Iran, the little Penguin paperback that came out in the fifties, from the French into the English, and I think she had always decided that I should go to Iran and work there. And I remember one occasion in particular, I was standing on the high mound at Nimrud with Max Mallowan and I decided to sort of venture something and I said to him as the setting sun was illuminating the Zagros Mountains on the eastern fringe of Mesopotamia with Iran beyond, I said, "Max wouldn't it be nice if we could have a school in Iran?" And he replied, "Oh I don't know, David, rather unstable country at the moment." But I did, in fact, implant an idea and in the fullness of time, of course, an institute was founded, mainly through the initiative of Sir Mortimer Wheeler, and well Max then became my president and so our lifetime of work, or a good part of my lifetime working with him duly continued very successfully in Iran. So you lived year-round in Iran for nearly 20 years? Nearly 20 years, yes, that's right. I had an interval before that when I went to work with Sir Mortimer Wheeler in Pakistan. That was sort of one of these strange circumstances that happen that just affect your life. The University Museum at the University of Pennsylvania was looking for somebody who could eventually head their department of Chinese archaeology and you didn't have to have prior experience. They were going to send you there to learn Chinese and to learn Chinese archaeology. And I could see that people at the school in Ankara and the school in Baghdad that David Oates [and others] were just ahead of me and so I thought why don't I put my hat into that ring, and I remember Mortimer Wheeler, his greatest concern was whether I could sort of actually manage to live happily in the United States, so of course I told him well actually I have lived there already and was quite happy there, so I cleared that hurdle and apparently he was willing to accept just as being fine and eventually I got word from him that I was selected to take up the job at Penn. And, then, as I was leaving his office at the British Academy, he was then the secretary of the Academy, he suddenly shouted, "Stronach!" So I turned around, "Sir?" "Since you're going East, you might like to come with me to Balch," in Afghanistan. In fact I did join his expedition; we didn't go to Balch, because Mortimer Wheeler wanted to take quite a few technicians with him from Pakistan--he'd been director general, of course, in India which included Pakistan in the earlier days--and the Afghans were beginning to separate themselves from Pakistan at that point, and so we had to choose to go actually to dig at Charsada in Pakistan. And I was then in the embarrassing situation that I had visited Iran on my way--and I was absolutely captivated by Iran--on my way to Karachi, and I thought I really ought to be working in Iran rather than going to China. And something else that was one of these extraordinary things happened. I was sort of bedding down with in a small corner of the room with somebody I knew at the British embassy. And as I was about to leave for Pakistan, he said, "Oh, by the way David, the ambassador and I," he was one of the senior people in the embassy, "have decided that it might be the right moment to have a British school in Teheran and would you mind conveying a letter to Sir Mortimer Wheeler to let him know that we think so?" So there I was conveying a letter of utmost importance to my future career to Sir Mortimer. But then I got to Pakistan and of course he was the man commending me for China. But I knew he was a very direct individual and I said to him, "I really loved visiting Iran and I've loved being in Pakistan, perhaps I shouldn't really be going to China. What do you think I should do with respect to Dr. Rainey?," you know at the University Museum. And Wheeler, who was really abrupt and forthright, said, "Well, I think you should write to Dr. Rainey and tell him so." And so I did and Rainey sort of understood my desire to stay in the Near East. He said, "It's a pity cause we just got permission--they had to get permission from the Senate, or I don't know what--I was a British subject, but that was part of the thing, no American could go to Red China as they used to call it in those days so I had to you know be the Frenchman, or the German, or the Englishman, the Scotsman, I might say, who would represent the museum. There's another little story which you might enjoy. I got a letter from Wheeler, saying, "My dear David, how would you like to dig the Great Mosque of Zanzibar?" Well, this sounded so romantic and so appealing, I almost wrote back at once and said I'm on. But then, I had to think, well what is it, you know, that my perhaps slightly devious mentor is planning, and I realized he might be wanting me to have experience in East Africa so that I could be the director of the new British school in East Africa, which was coming ahead of the one in Iran. So I wrote a tactful letter saying I didn't think I would dig in the Great Mosque of Zanzibar and I was then available when the school was founded in 1961. In fact, what he did was he invented, 'cause you just couldn't suddenly have a new institute, he invented a special position, as British Academy Archaeological Attach� in Iran, and I was sent out with that extraordinary title--my first job--and he said, "You are the spearhead for the institute." So I realized I had to do good things. And, well the Institute followed on from that. At the AIA meeting in which you were awarded the Institute's gold medal, your students proudly wore t-shirts that identified them as "The Rotten Lot." That arose because we had a very relaxed atmosphere in my seminars, and some of these graduate students, of course, had work with me in sites in the Caucasus and in Turkey, so I was David to them and Cathy and the rest to me, and I remember we were having one particularly productive and jovial occasion and they were getting a little bit wild and so forth, and I affected to be very surprised at this and I said, "Oh, you're a rotten lot!" You know, it's a British expression. And they loved it. So, unbeknownst to me, they invented this t-shirt which said on the front "Stronach's Rotten Lot" and then on the back they paraphrased a famous inscription of Darius I, the Achaemenid king, in which everything was changed from "I, Darius..." to "I, Professor Stronach...." It was very attractively done. Teaching is very important to me. It is one of the great pleasures of my life that I've always had a great deal to do with the education and training of younger people. This was the case when I was at the Institute in Tehran, which was a kind of forward base all British universities working in any way in Iran and, of course, since I came to Berkeley it's been one of the great privileges of my life. Are you students an extended family? Yes, you might well say that. Tell me about your experiences with Agatha Christie. The moment I got my first fellowship to go to Iraq, I was at once a member of the British School team at Nimrud where Max Mallowan had been already working for several years and where Agatha Christie was an important member of the team. I remember that she in particular liked to develop the photographs because after all, if you recall, she had been a nurse during the first World War, which is one of the reasons that she knew so much about poisons and other chemicals and things, which all emerges in the various stories and at the same time she could use these skills in our development room because you couldn't develop film in Mosul or anywhere, well you could in Baghdad, but we had to develop our own film on site so that was one of the tasks which she undertook. She also used to help to clean the ivories which were coming up in great numbers. And she even told us that she had one method of her own which was to apply face cleaner to the ivories after she'd cleaned the initial dirt off them, which we did, by the way, very often with ivory KLM toothpicks which Max encouraged us to get from KLM as we flew in to Baghdad because they made a very nice ivory cleaning tool and she said she applied face cleaner which did in fact draw the dirt out of the ivory. Whether this was strictly the case or not, I don't know, but it's an amusing tale. And, of course, as the youngest member of the Nimrud team, I was often assigned to guide tourists round the extensive site, which it is, naturally, and at that time I was often a little bit discombobulated at the end when we would get back to the dig house and then they would say after my hard work for an hour and a half, "Now where is Agatha Christie?" And I knew why they visited the dig. In all events I got to know her best, well in Baghdad, I helped her with her shopping, because she loved to go to the bazaar to pick up carpets and jewelry. I remember we would walk through the bazaar and people would call out "moma, moma!" and they didn't know her name but they knew she was a rich woman and capable of buying the best carpet or whatever it was that might be in view, and so I would see these wonderful carpets that I wouldn't see otherwise and sometimes bring something back on my back to the school, crossing on a little boat across the Tigris, you know, it was wonderful. And she would also pick up jewelry with stones, big stones in it, and I would see something and I would think nobody could possibly wear that with these huge stones and she'd say, "Do you think that would look well on me David?" and, of course, what else could I say, "I'd say well I'm sure it will Agatha." And then you know that evening we might be going out to some reception or something and she would wear it and it would look magnificent on her. So she knew what she was doing. And, I'll just add one other touch, we were, of course, frequently together, Max and Agatha and I, driving about Iran on Institute business looking at different people's digs and things and, of course, as you know to get into a Landrover is not an easiest thing, it has a very high step, and Agatha was a large lady, so that was difficult for her. So, in fact, I installed a special folding step on the Landrover, which we, of course, in the Institute called the Agatha Christie step. Well, I was traveling down with Mortimer Wheeler, and Max Mallowan, and Agatha, and we were going to stay for a moment in Shiraz at the British Counsel and then go on to this site of David Whitehouse's at Siraf on the Persian Gulf. And when we were at Shiraz, I remember we met a new couple who'd just arrived to take charge of the British Counsel and of course Max Mallowan, who had a great feeling for the Achaemenid monuments of Persepolis and Pasargadae, and it was his encouragement that led me to dig at Pasargadae in 1961, he went up to this young couple and he said you must be so thrilled to be appointed to Shiraz with all its magnificent monuments, and the lady of the pair said to him, "Well, not really, we really prefer jungles." And for once the great Sir Max Mallowan was totally wordless, he didn't know what to say. Anyway, we proceeded on towards Siraf, and there had been floods on the Mand River, which was between Siraf and the rest of the country, so the bridge was down and I then had a tricky job because I had to leave the Landrover of course on one side, and David Whitehouse knew what was happening was on the other side with his Landrover, and I had to maneuver Agatha into this very small boat to cross the swollen waters of the Mand and I thought if I don't get this right, you know, whatever will the world say? But I did get it more or less right and we got her safely across and so we went on to Siraf where they didn't yet have a dig house and so what happened was that we were installed in the place of honor, which was the top-floor story of one of these traditional tall houses, almost as tall as the ones in Yemen which you know of. And, of course, each step is, I don't know, a foot and a quarter high, and Agatha looked at her husband and she looked at Sir Mortimer and she realized that neither of them would be really ideal for helping her up the stairs and then I heard her say, "David," and she beckoned to me and it was then my duty to assist her to get to the top of the stairs, one push at a time, you could say, until we got there, and until she turned around with that broad smile and said, "David you'll be very happy to hear that now I've arrived in my room, I'm not going down until we all leave Siraf." And that's just one pleasurable memory of that considerable lady. Could you tell me just a little bit about gardens? I was fortunate in terms of gardens, in that while I was working at Pasargadae between 1961 and 1963, I decided that I should take a look at some garden water channels which adjoin the palace of Cyrus and do what I could to document this important and unusual feature of the site. Of course you were busy on many other aspects of the excavation, working at the tomb of Cyrus and various palaces, but I was intrigued by the garden and I published a plan of it that I thought it might perhaps add up in my book on Pasargadae in 1978, and then in the 1980s, the Classical Association of Northern California, knowing that I'd excavated one of the oldest excavated gardens in the world asked me if I would give a lecture about it. So I began to think freshly about the garden, and another thing that happened at the same moment was that Time or Life magazine asked me if I would write an article or help them with an illustration, a reconstruction of the garden of Cyrus. And so a very curious thing happened. I had to work with a draftsman who was in Washington, D.C., and I told him that a Persian garden always had long straight rows of plantings and so forth and that these should run perpendicular to the facade of the palace and I mentioned that Cyrus had had an external throne seat in the middle of his what I called his garden portico looking out over the garden so he got all that right and then he put a line of trees exactly in front of the external throne seat so that Cyrus, instead of looking through the length of his garden, looked at a bush, you know, ten meters away. And I said, "Oh this total idiot," you know, he should have had a line of sight. And then I suddenly--the scales fell from my eyes--I realized there had been, indeed, a line of sight what landscape architects call the "view of power" through the garden, directly in front of the throne which, of course, was at the long axis of the garden. And when I re-drew the plan in that way, with his line of sight, I realized that the two sort of rectangles that had been in front of the palace in my original plan were actually not correct because it became a four-part garden, much more elegant, and it was, in fact, the ancient four-fold garden of Iran which is a symbol of, you know, distinction and legitimacy, and all of this I suddenly realized stemmed from the planning of the garden of Cyrus the Great, 2,500 years ago as opposed to beginning in the seventeenth century, when some carpets had shown the same arrangement. And that explained something which all the garden historians til then had been totally unable to explain, which was the similarity, the close similarity, in plan of the gardens in Islamic Spain to [those in] Moghul India, and of course this was because they came from a common source, which was Achaemenid Iran in the late sixth century B.C. Finally, how are things in Iran today? Well, I think in Iran, the situation is really quite healthy. I'm happy to say, very gratified and pleased to say, that the Iranian archaeological authorities have expressly asked me to come back and to excavate again in Iran. Which, you know, is, I think, one of the greater pleasures of my professional life that they thought to ask me back to resume my work. They've agreed with the proposition that I should go and dig again at a site in the east of Iran, at Shar-i, ancient Hekatompylos, where I was working a quarter century ago for several seasons and where I always needed at least one more season before embarking on the final report, and so in the fall of this year I'll be going back with a number of my good students to resume excavations at that site. And overall, I think the situation in Iran is developing very well. The excavations have become much more joint expeditions than they ever were in the past, so that very often the equivalent number of young Iranian archaeologists and conservators, and so on will join the team. In the days when we were digging there before '79, there was a somewhat different situation in which the expedition went into the field as an American, or French, or German, or a British expedition with just one representative. Although, I used to frequently invite young Iranian archaeologists to join in the work because I enjoyed their good company and their skills, and so we were perhaps tending to this new situation, but its now now encapsulated in regulations and so forth and we will be a joint expedition with the Iranian Archaeological Service. 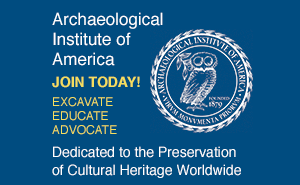 Editor's note: This past January, David Stronach was presented the Archaeological Institute of America's highest award, the Gold Medal for Distinguished Archaeological Achievement (see "Gentleman and Scholar").